Steam-cooked lobster is a New England summertime favorite. Enjoyed dockside or right off the boat, these delicious crustaceans are usually prepared by someone else. For those who want to recreate the classic lobster feed at home, you first need to learn the right way to cook them. Most people boil their lobsters and end up with watery and diluted lobster meat, but true foodies and seasoned lohttps://www.thespruceeats.com/lobster-terminology-and-facts-1808805bster lovers know the secret to perfectly prepared lobster is to steam them instead. You don't need a steam rack or any other fancy equipment—just a large lobster pot and a steady heat source (like a stovetop or outdoor single-burner patio stove) will do. It may be easy to find live lobsters at pounds or at your local fish market, but be selective when choosing your dinner! The smaller the lobster, the more tender the meat, so lobsters that weigh 1 1/4 pounds to 1 1/2 pounds taste best! Make sure the lobster has a hard shell (as opposed to a soft-shelled lobster that recently molted) and is lively, moving, or snapping its tail when handled. The lobster industry is not free of controversy, making it important to know what to look for when purchasing these creatures. For the best taste and also for the health of your family, select lobsters that have been caught both locally and recently. Or look for lobsters banded with a "Maine lobster" tag on their claw. 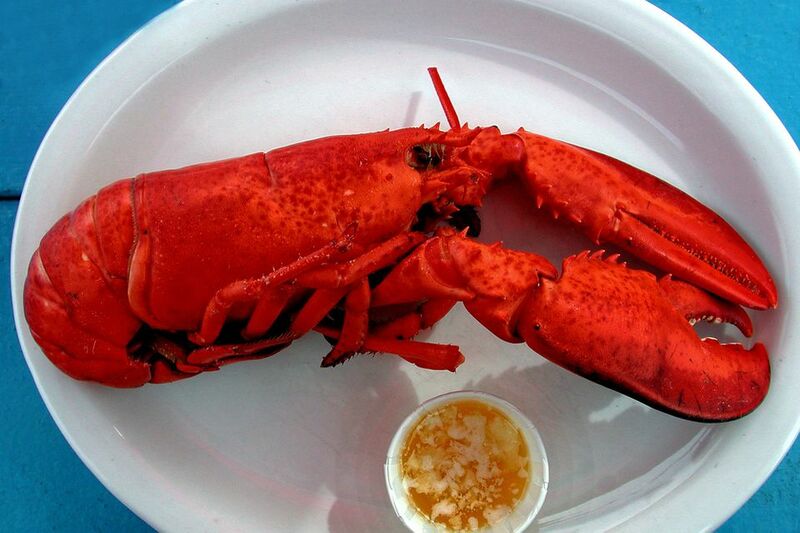 Big markets try to pass Canadian lobsters onto consumers as Maine lobsters. Canadian regulations vary from the strict regulations the of the United States, allowing lobstermen to pound their lobsters and feed them corn or other fillers before distribution. Not only does this feeding practice make the lobster meat tasteless and mushy, but large lobster pounds are breeding grounds for disease and bacteria. Do not put your lobsters on ice. Rather, make sure lobsters are bagged in paper or cardboard with an open top or holes for breathing. Professional fish markets will add wet newspaper or fresh seaweed to the package to mimic the lobster's natural habitat and to keep them moist (the seaweed is also great to add to the steaming pot). Store your lobsters in the refrigerator, taking great care to give them breathing room, and try to use them on the day of purchase or within twenty-four hours max. Note that they will have to be cooked alive or immediately after killing for food safety reasons. No rack is necessary to achieve a perfectly steamed lobster. If your market packed seaweed in your box, this can be used as a natural rack at the bottom of the pot. First, fill a large pot with two inches of water. Add salt or use the seaweed for natural sea saltiness. Load the seaweed into the shallow water, and then bring it to a vigorous boil. If you don't have seaweed, simply bring your water to a boil. Once the water is boiling, place your lobsters on top of the seaweed or directly into the water (the bottom lobsters may boil a little, but rotating them halfway through avoids any watering down of the meat). Cover the pot and steam 1-pound lobsters for 10 minutes, 1 1/2-pound lobsters for 15 minutes, and 2-pound lobsters for 20 minutes. Potting the lobsters can be tricky for first-time lobster cooks. Simply grab your lobster around the back of its abdomen, just behind its front claws. Don't worry, the lobster's claws are banded to prevent it from pinching you. The lobster may flap its tail upon being handled, but this just means you've got a lively one. Gently maneuver the lobster into the pot. They like to splay their legs, claws, and tail, so use the edge of the pot to guide the claws and tail, placing each lobster carefully on top of one another. Serve the lobster hot, warm, or chilled on an outdoor table with plenty of room for each guest to pick out their meat and make a mess.